Downtown Doors has been expanded to 100 doors and utility boxes--22 new student art works were added last night from 15 San Jose High Schools. former Chinatown on Market Street that was burnt down and the circuitry elements symbolize San Jose's role as the heart and capital of Silicon Valley. The crosswalk material should last 5-8 years. This was part of the PBID's Street Life Project with the goal of enhancing the pedestrian experience in Downtown San Jose. The Sainte Claire Hotel will be come the Westin San Jose starting on July 9th and is already taking reservations. The hotel and historic landmark has extensively been renovated over the last two years. The Children's Discovery museum is celebrating its 25th anniversary with three expansion projects: 1.) FoodShed, a new cafe 2.) The Builder Building, a 3,200 SQFT workshop for kids opening in August 3.) Bills Backyard, a 27,500 SQFT expansion of its outdoor space with multiple interactive exhibits. Gotta Eatta Pita is now open at 86 N. Market St. and offers organic, custom-made Mediterranean pitas and salad bowls. The Joint Eatery is open at 93 E. Santa Clara where Grub Shack used to be located. Cushman & Wakefield are moving 50 real estate brokers and staff from Santa Clara to 14,000 SQFT at 10 Almaden in Downtown San Jose. To enhance safety for bicyclists, the city is planning to reduce the speed limit to 20 miles per hour on First and Second Streets, St. John Street, and San Salvador Street. 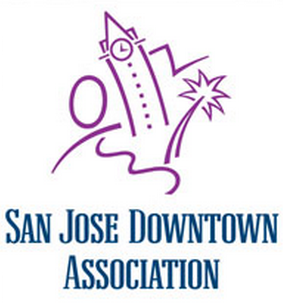 There are tons of events going on in Downtown San Jose this summer, head to the SJDA website for a full list. I ate at Gotta Eatta Pita and it was Delish!